So last year your brother bought Mom a diamond pendant for Christmas, while you failed to impress with a sweater. It’s Christmas again, and now it’s time to show Mom how well you’re doing, even if your bank account doesn’t share your optimism. Or maybe it’s not Mom. Maybe it’s the next-door neighbors who impressively - and expensively - decked out their yard. These are the thoughts that enter your head as you enter the mall (or open your tablet). Every purchase decision has three components—economic, emotional or emotion’s cousin, convenience—each of these swirls in our heads while under the influence of the holidays. If you wait to think about them at the mall, you’re asking for trouble. Like any other decision, a stressed and clouded mind will fail to weigh these components appropriately. Are you buying to relieve the stress? Or do you buy whatever is in front of you to get it done and off your mind? Is it a knee-jerk reaction because you know you are getting a gift? Or are you weighing each component of your decision in light of your budget? So prepare ahead of the stress, when your mind is clear. And be sure to gain agreement with your spouse. He or she may be thinking the same thoughts about their families. Talking about it will help. Waiting to talk about it in January when your property taxes are due will only lead to fights and disappointments. 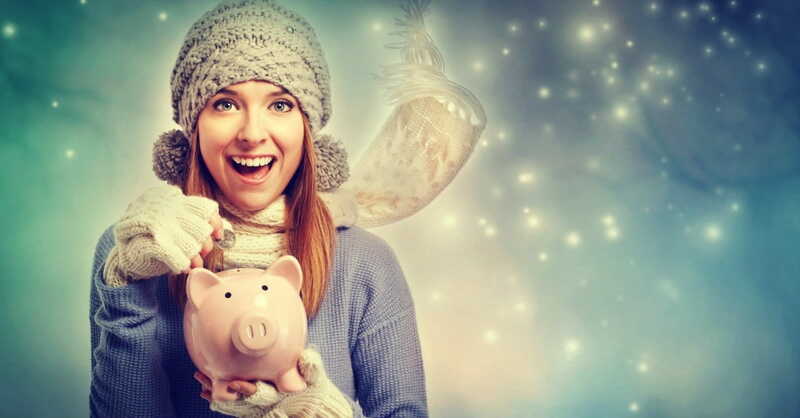 First, look at your bank account and determine an overall budget for holiday travel, gift giving, dinner parties, and the like. To help determine the amount, consider big upcoming expenses like insurance, property taxes, planned retirement or health saving account contributions and federal taxes due now or early in the coming year. Next, consider using cash. A credit card is more convenient and many offer reward for spending. But often it is more difficult to keep track spending. An envelope system often works well. Make an envelope with cash for each type of holiday expense. When the envelope is empty, the budget is gone and you’ll be obliged to think more creatively for your remaining commitments. Third, consider charitable donations in honor or your family, friends or clients. Choose a charity that’s in line with the recipient’s goals. A charitable gift shows forethought about the recipient. And the gift may cost less than the donation since you could also get a tax deduction. Last, think about giving your time or homemade gifts. It really is the thought that counts. Gift giving shouldn’t be a weapon used in sibling (or any other) rivalry. Nor should it be a way to boost your ‘relative’ self-esteem. In fact, spending beyond your means will ultimately have the opposite effect, leaving you with an empty wallet and fights about money next year. You’ll be scrambling to make ends meet while your mom spends time alone with your expensive gift. It’s more likely, she’d rather have time with you. Pam Friedman has over 20 years of financial planning and investment experience. Prior to partnering with Silicon Hills Wealth Management, LLC, Ms. Friedman was on Wall Street in both New York and London structuring and raising capital for both public and private companies. Upon her return to Texas, Ms. Friedman spent six years on the faculty of the Finance Department in the McCombs School of Business at The University of Texas at Austin. I Now Pronounce You Financially Fit can be purchased on Amazon. You can learn more about Pam Friedman at www.pamfriedman.com, and www.divorceplanningofaustin.com and connect on Twitter.